Just how amazing it this advertisement for wallpaper paste? "Why do the Rooster make all the noise?" No joke. The hens do all the work... yet it is the male doing all of the crowing. 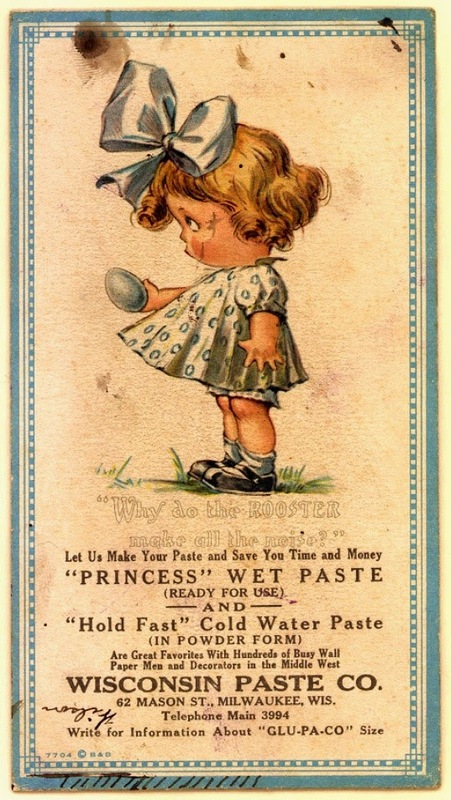 Labels: girl with egg, wallpaper paste, Wisconsin Paste Co.